Eat Healthy, Be Happy. ﻿E﻿njoy the Experience. I’m sure you still love to eat good food. I know that cooking with the same old recipes can get boring at some point and some days you just want to try something new. We have a solution for you. Cooking ﻿﻿doesn't ﻿﻿have to be ﻿complicated﻿. If you want delicious food on your dinner table, you don't have to be a perfect cook. All you need to do is follow my step-by-step recipes and video cooking guides, and you’ll be making delicious meals for your friends and family, or just for yourself. Trust me, you deserve this treat. 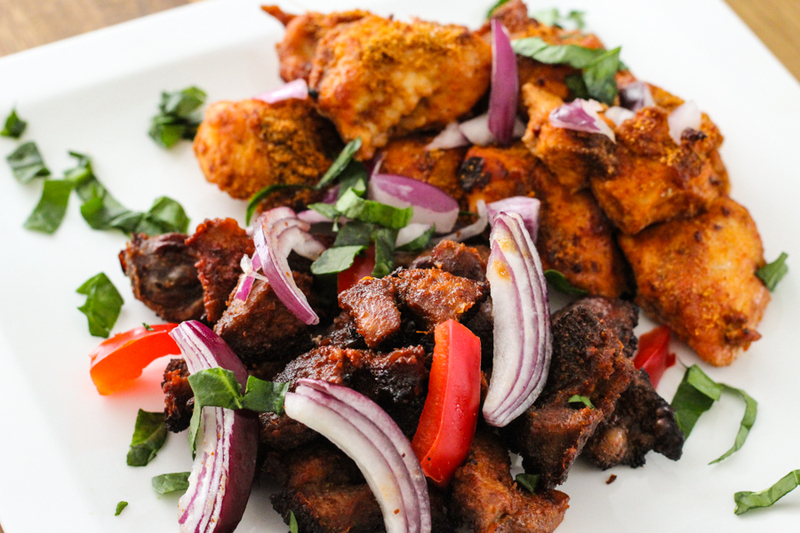 The Vibrant West African Cuisine Made simple.... learn to cook delicious meals from the comfort of your kitchen! 12 famous West African recipes for your whole family include Jollof Rice, Suya Chicken, Dodo, Efo Stew, Pottage Beans (ideal for vegetarians), Okra Soup, Fufu, Pounded Yam, Egusi Soup and Fried Rice. Learn the various herbs and spices that distinguish West African Cuisine from the rest of the world. Learn when and how to use special cooking techniques. Learn the most common terms that are used in the West African kitchen. Eat ﻿Healthy. ﻿﻿﻿﻿﻿﻿Be﻿ ﻿﻿﻿﻿﻿﻿﻿﻿Happy. Enjoy the experience. 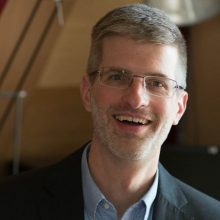 I found the cooking video course to be fun and very engaging. Also easy to follow and replicable. Well done! 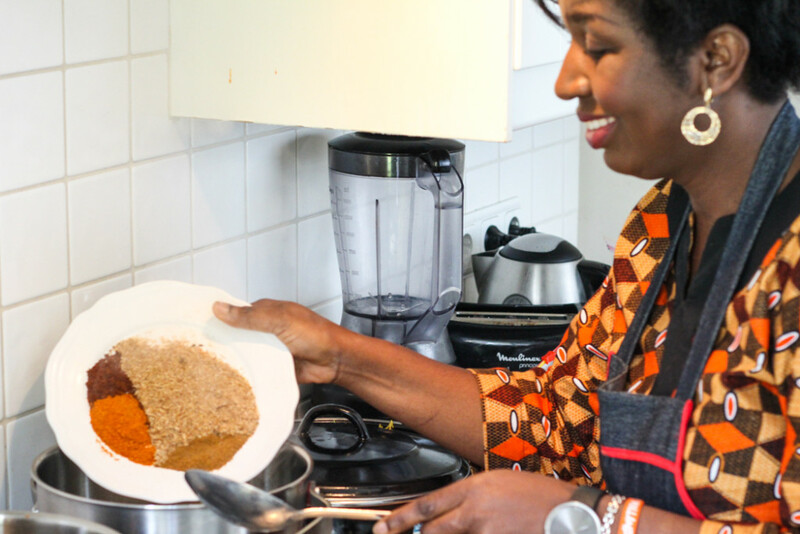 "When we attended Ebere’s West African cooking workshop, we expected (and got) wonderful lessons in cooking technique, a delightful social experience, and a great meal. But something unexpected also happened: an introduction to an excellent, under-represented cuisine. The flavors are mostly familiar: a bit of India, a bit of New Orleans, and even some flavors evocative of Italy. The combination of the spices and the straightforward style of cooking were a real eye-opener, though. I predict that in 5 years West African will take the place that Thai cuisine now has, both at home and when we eat out." 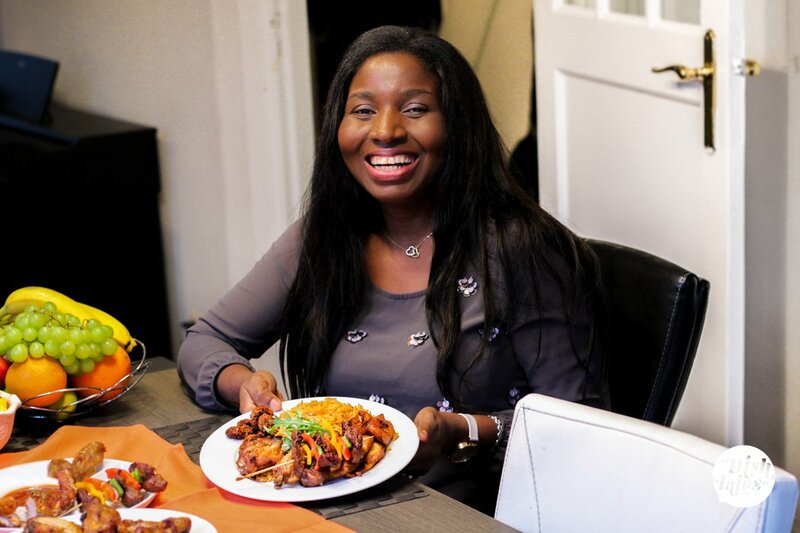 Ebere Akadiri is the passionate ambassador for West African Cuisine. A native of Nigeria, she now lives in The Hague. 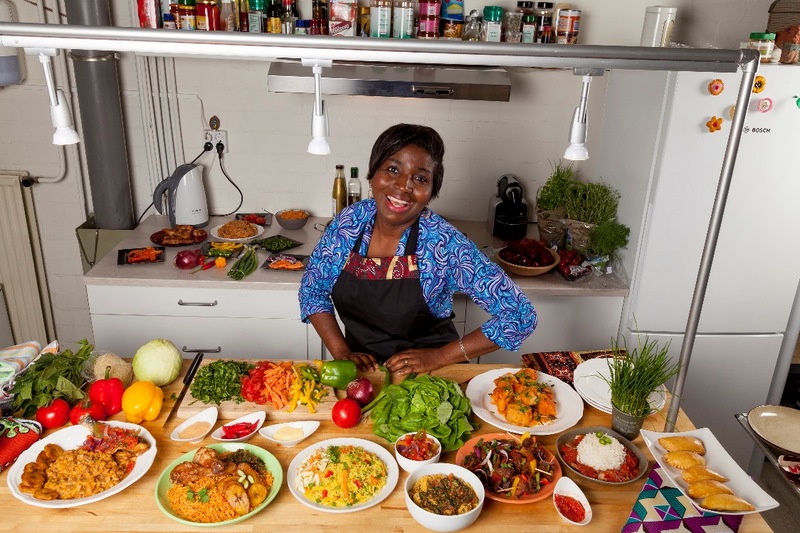 Ebere helps her clients to experience the “Vibrant West African Cuisine” through her live cooking workshops, Ataro’s Signature spice mixes and packaged food products. 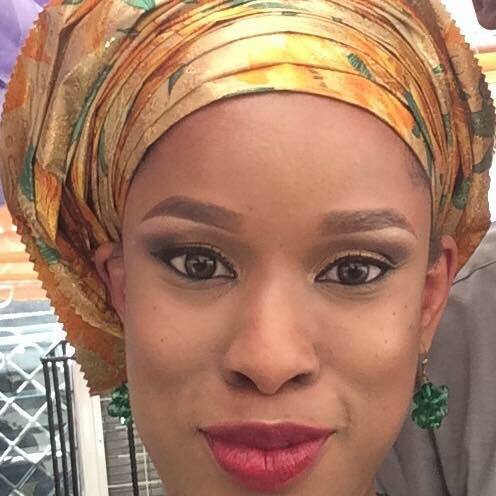 Ebere had two restaurants and a large catering operation in Nigeria before her relocation to the Netherlands. Because she believes that eating good food brings happiness, she decided to share her secret recipes to delicious and healthy meals so that more people can experience happiness and better health. Little is known about West African Cuisine outside its own region. 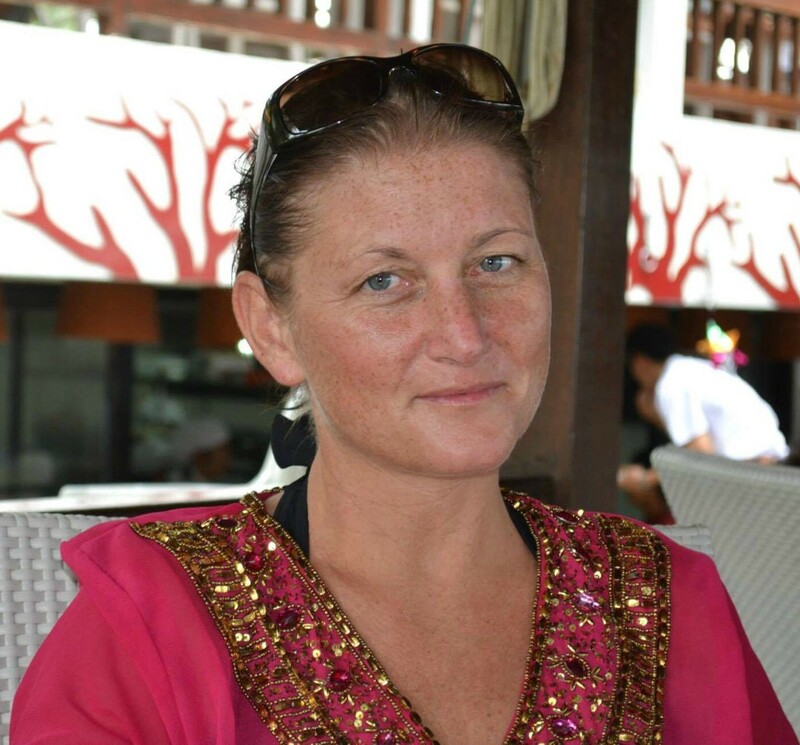 In her words “I take people on a journey to discover the well-kept secrets of all the best exotic flavours of West African cooking”. 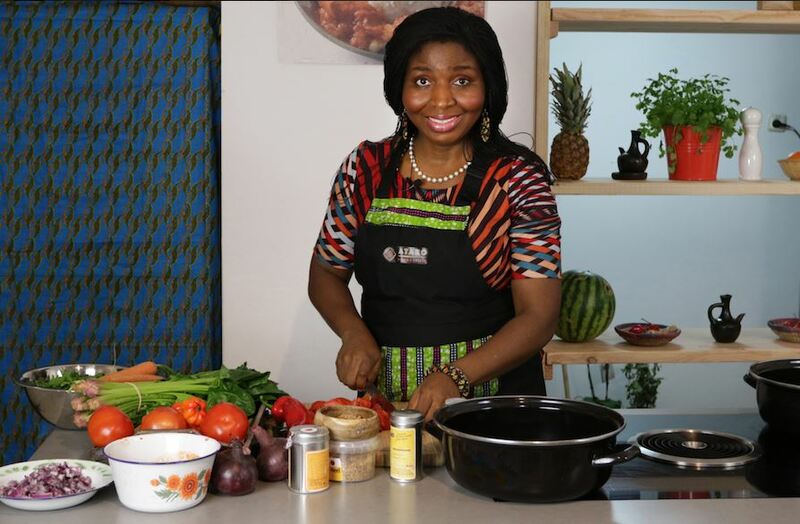 Ebere is committed to her mission of showing people around the world how delicious and wholesome West African Cuisine truly is, and she’s excited to bring this joy to you in the comfort of your home through the Vibrant West African Cuisine Made-Simple Virtual Cooking Course. 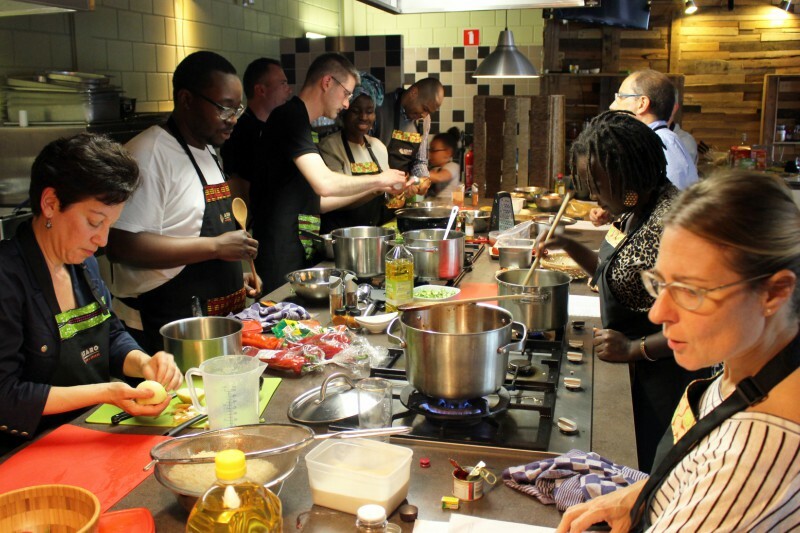 We’ve introduced the vibrant cuisine of West Africa to thousands of people, including professional chefs and students at Dutch culinary schools. And NOW you can experience one of our special workshops… from the comfort of your own home. 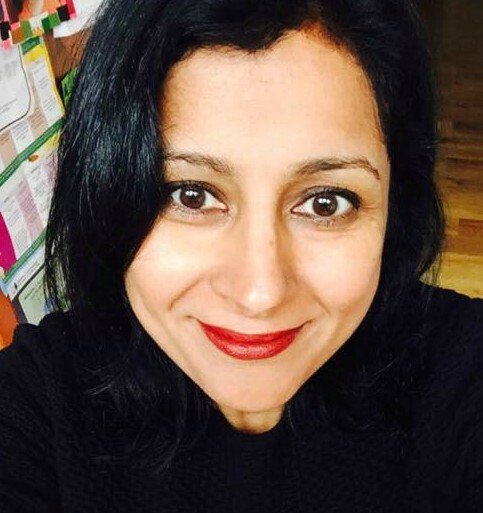 "Cooking with me through my course will save you time, give you more confidence in the kitchen and make your family crave your home-cooked meals.They won't be able to resist the aromatic and delicious flavours that will come from your kitchen." Not ﻿only you will gain the confidence to cook delicious meals, you'll ﻿﻿﻿also experience ﻿﻿﻿﻿﻿﻿better health, feel less overwhelmed and understand the true joy of cooking for yourself. "Since this new cooking course is organized into simple, step by step online videos, you’ll learn easily from the comfort of your own kitchen. Once you register, you’ll have instant access to all the modules, which includes 11 videos, 12 recipes." And keep in mind that the West African meals we’ll cook are very healthy. Most of the wholesome recipes are gluten free, incorporate superfoods, have no additives and include all natural herbs and spices. Recently, a Dutch mom found my cooking classes to be a perfect fit for her son who suffers from food allergies. 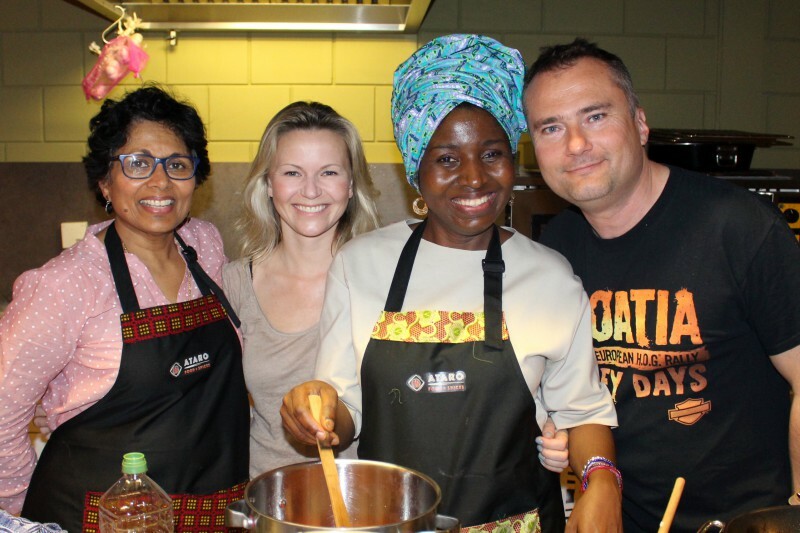 While we cook together, you’ll learn about Nigerian culture and popular ingredients. 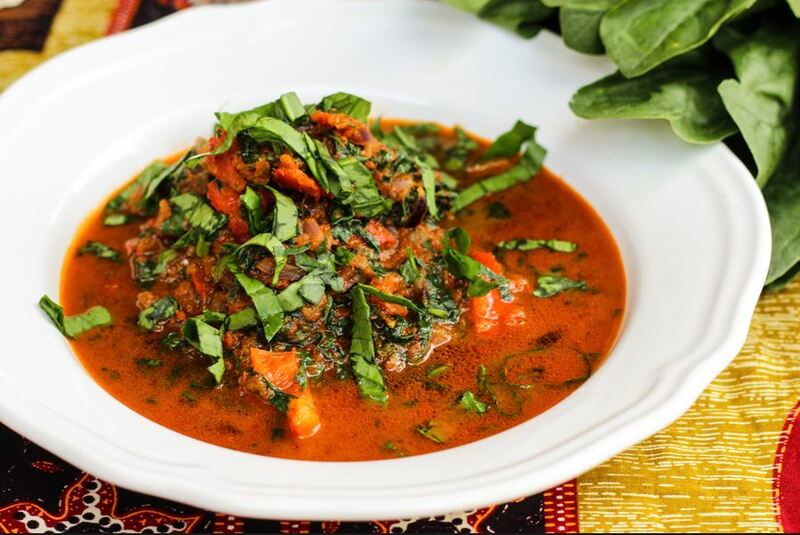 You’ll also learn the various herbs and spices that distinguish West African Cuisine from the rest of the world. And more important, you’ll learn how to adapt these cooking styles to meet your personal cooking needs. 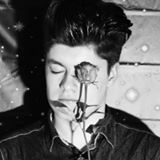 I’ll guide you through all of these unique lessons in a fun and relaxed mood. When you register I'll make sure you have everything you need to start your West African Cooking adventure. When you purchase my West African Cooking - made easy" video course, you'll have access to a private Facebook community of food lovers that share the same passion for delicious food. You'll be able to ask them questions and get answers but also share tips and inspiration. Recipe cards = sent weekly! I know how great it is to see cooking on video, but sometimes it's nice to read through the information too. This is why I've created recipe cards for you to use too. You'll receive these for free every week in your inbox! 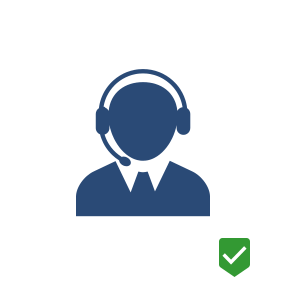 Here are some FAQ we have received that might be of help to you. Who is this ﻿﻿﻿course ﻿﻿﻿meant for? You could be a chef or a home cook. 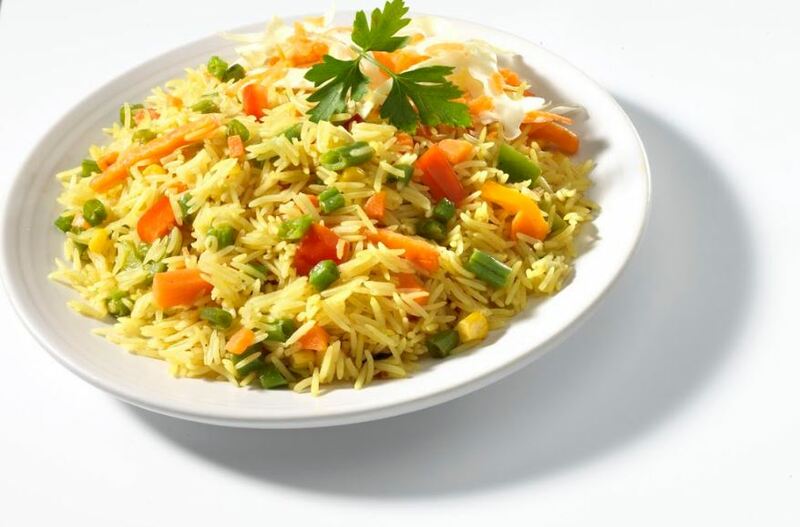 Maybe you want to surprise your friends or family with innovative meals. Or perhaps you want your children to learn important cooking skills. You might also be a West African parent looking to transfer your cultural heritage to your children living abroad. What if I can't find the ingredients locally? Don’t worry, all you need to do is ask a question on our private community forum and depending on where you live, we will direct you where you can buy local ingredients or tell you more alternatives to local ingredients. How long do I have access to the cooking videos? Lifetime access to every lesson in the class and membership in an active online community. Watch whenever and as often as you’d like! The course will be delivered through Online videos. 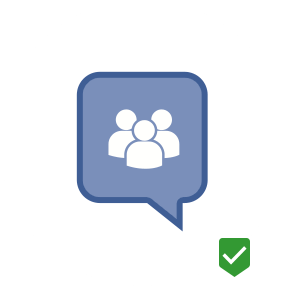 You are encouraged to share your thoughts in the community forum and receive feedback on your questions. You will receive 10 weekly emails showing you what menu to prepare. How much is the investment for this vibrant experience? I believe everyone should learn to cook good food and that’s the reason I’m sharing these secret recipes. Your one–time investment of 97 67 Euros will give you access to all the video courses. You pay ONLY 67 Euros, if you take action today. 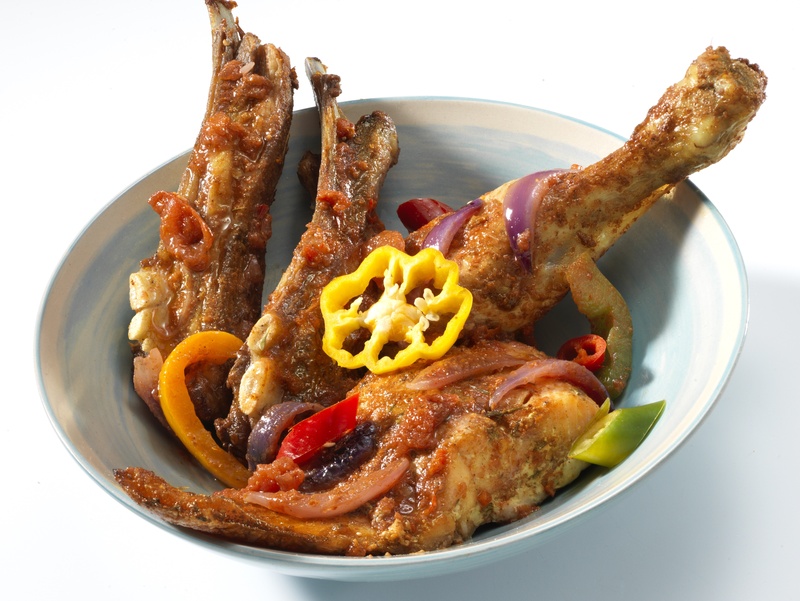 Experience the Vibrant West African Cuisine for a one-time investment of 67 Euros when you order TODAY!